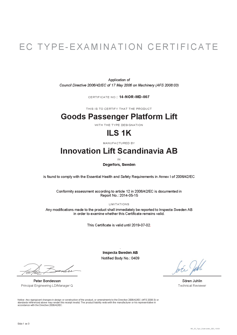 The ILS 1K is a display of pure craftsmanship and ingenuity, with a strong load capacity of 1000kg packed in a nice, clean Scandinavian design. What really separates our product from the competitors is our unique and innovative construction, which allows for low installation costs, highest possible flexibility and much more. 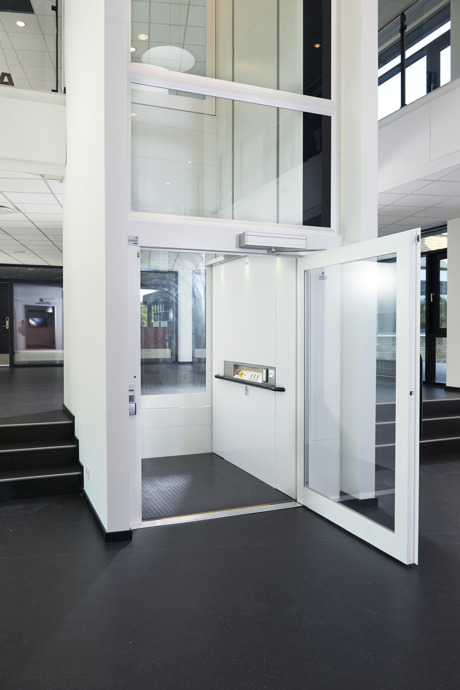 55 different platform sizes to choose from and a shaft pit of only 110mm means we can always offer you a lift that fits exactly to your building. Every ILS 1K comes with a full height platform back in a modern design, which also provides you with correct lighting during your ride. A fantastic design and construction for an easy and quick installation of only 2-4 days! Plug n´ play all the way through. Good looking sandwich panels with corner profiles in anodized aluminium completes the clean design character. For even more light and style there is also the possibility of a glass shaft. 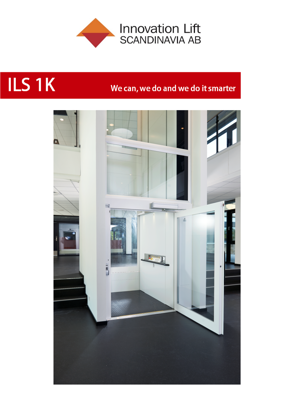 Competitive material prices together with the low installation costs make the ILS 1K to one of the best priced lifts on the market. Thanks to our great design, our strong construction and our flexibility, ILS 1K fits into all environments, both public and industrial. Hospitals, care homes, arenas, schools, offices, workshops, furniture stores etc. Everywhere where high quality, design, space and lifting capacity are crucial aspects. Fantastic loading opportunities are provided in every situation by the wide doors that come fully glazed as standard. As an alternative you can of course have the the fire rated EI60 doors. All our push buttons are with both tactile and braille text. 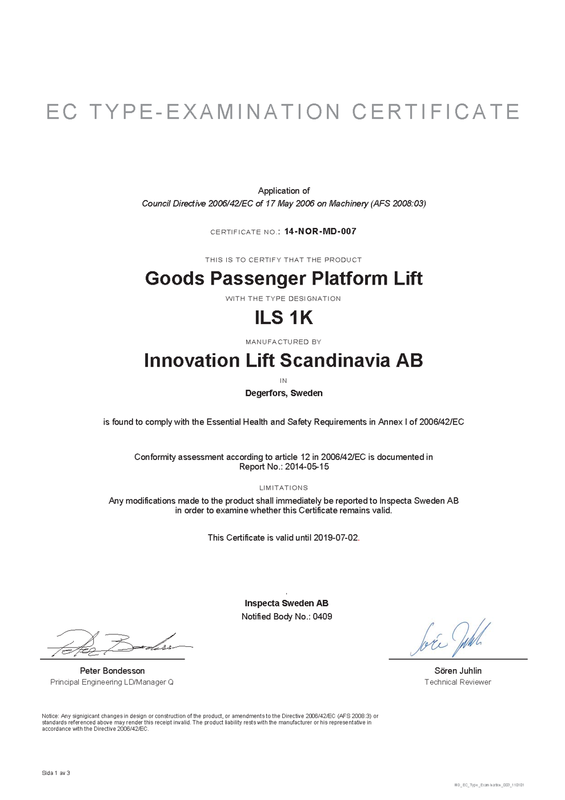 If you are interested to have our lifts in your product range and start a long term cooperation, or just want to know more, don’t hesitate to contact us.